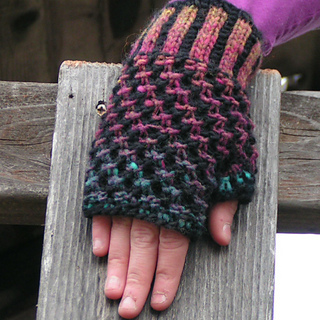 These unisex mitts magically transform three colors of natural colored yarn into the perfect mitt. 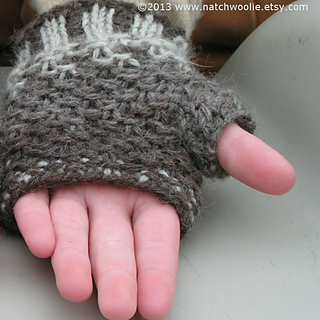 These are very warm and extra sturdy. 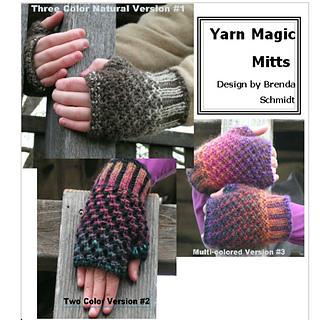 I expanded it to include two complete color patterns producing three styles - a three color and a two color version in which the yarn works the magic for completely different results and hundreds of possibilities. 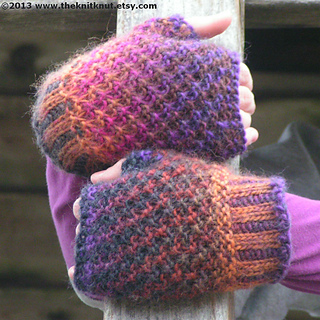 These have interesting textures so are equally beautiful in solid colored yarn for yet another version. 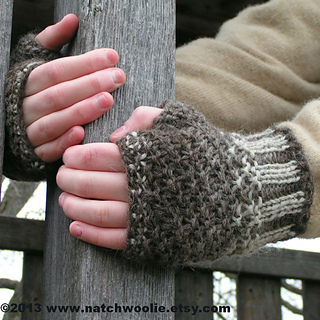 I designed these as a gift for my dear friend yarnmagic who likes practical things and natural colors. I have named the pattern in her honor. 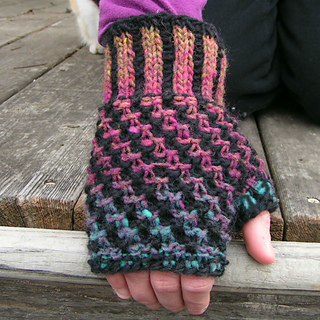 The pattern is intermediate, does not require much yarn, is a quick knit and makes a great gift.